Develop practical industry- or sector-specific skills for career success with an NVQ! 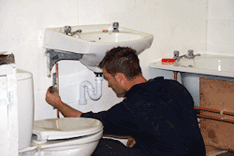 An NVQ is one of the most recognised professional qualifications amongst UK employers. Develop your practical skills and stand out from the crowd with an NVQ course today! NVQs, or National Vocational Qualifications, are qualifications that focus on providing candidates with the practical skills necessary to work in a specific industry and complete the tasks related to their role. NVQs are work-based qualifications that offer participants a chance to develop their professional skills in order to better meet job requirements and industry standards. Based on national occupational standards (NOS), they have historically been the most well-known and highly regarded type of qualification among UK employers. Since the introduction of the Qualifications and Credit Framework (QCF) in 2010, followed by the Regulated Qualifications Framework (RQF) in 2015, the market trend has however been to move away from NVQs and towards the Award, Certificate & Diploma structure that characterises the latest framework. Despite this shift, the content of the new qualifications (which often retain the term "NVQ" in the title) is much the same as before. That is to say, they are also developed based on the needs of employers and the national occupational standards set by individual industries, ensuring that employees reach the ideal level of performance for their specific job role. NVQs are available at any career stage, regardless of an individual's current position. They are also designed to be highly flexible, meeting the needs of part- and full-time employees as well as those studying at college. As they work by testing an individual's ability to complete various work-related activities & tasks, NVQs are assessed via a combination of portfolio evidence and observation. The former involves the candidate collecting and submitting evidence of what they've done, while the latter involves being formally observed by a qualified assessor who watches the candidate work and confirms he or she can successfully perform the required tasks.